FAYETTEVILLE – Thanks to five, top-4 finishes in five fall tournaments, the Arkansas men’s golf team is ranked 14th in the final fall Bushnell Golfweek Coaches Poll. The Razorbacks’ impressive finishes came while facing top-ranked Oklahoma State twice, #4 Alabama once, #5 Vanderbilt once, #8 Oklahoma twice, #9 SMU once, #12 Texas once, #13 Auburn once, #15 Pepperdine twice, #16 BYU twice and #21 Georgia once as well as squaring off UNLV twice, NC State twice, Baylor once, North Carolina once and Texas Tech once – all of whom received votes in the final fall poll. Arkansas finished the fall with a 48-13-0 record (.787) and shot par or better in eight of its 15 rounds. The Razorbacks placed fourth in four events and was runner-up by one stroke at the Jerry Pate Intercollegiate. 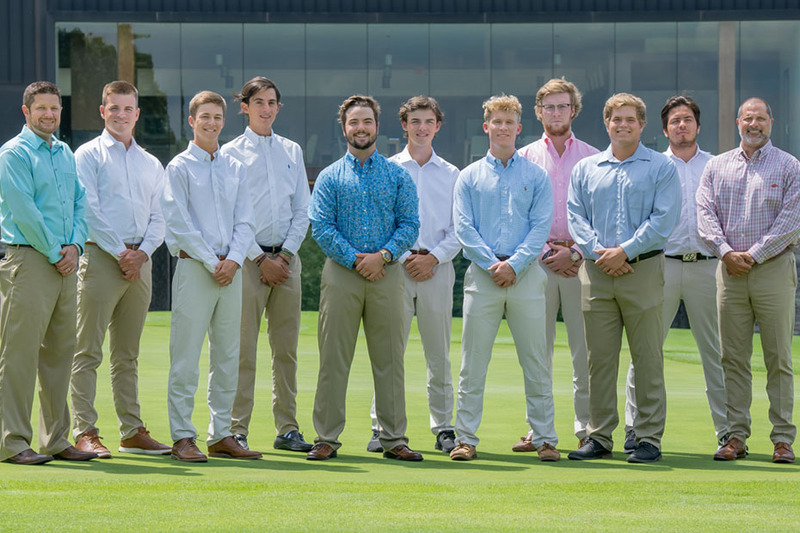 Individually, William Buhl won the William H. Tucker Intercollegiate and Julian Perico won the Jerry Pate Intercollegiate for their first collegiate medalist honors. Luis Garza opened the season by placing third at the Carmel Cup, Perico added a fourth-place finish at the Tucker Intercollegiate and Mason Overstreet tallied a pair of top 10 finishes. The team will resume the 2018-19 schedule Feb. 4-5 at the Sea Best Invitational, played at TPC Sawgrass – Dye’s Valley Course in Ponte Vedra Beach, Fla.